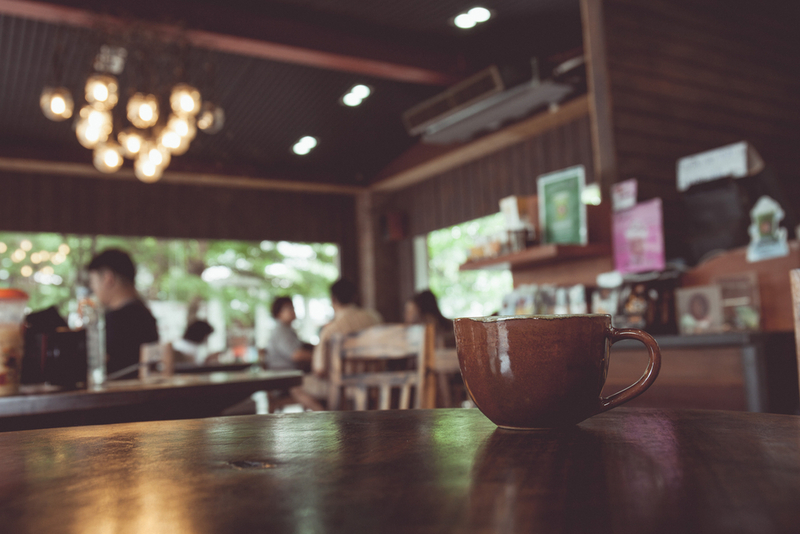 Recently I’ve run across a number of blog posts that talk about turning your classroom environment into a coffee shop atmosphere. Upon seeing this, I first pictured the big orange couch in Central Perk on the TV show Friends, and I thought, if I put that in the school I’ll never get students to do anything. The more I thought about it, the more I started to get it. You see, a coffee shop isn’t about the coffee or the couch, it is about the environment. They are meant to be a place where people can come in and relax, work, collaborate or re-energize, all in a comfortable space. Coffee shops are meant to be a place where people feel good. Creating a “coffee shop” environment in your classroom and student salon is about turning it into an active learning environment. It means rethinking the traditional classroom setup with chairs lined up in rows and evolving it into an atmosphere that is engaging, comfortable and flexible. When you walk into a coffee shop, what do you see? You see small tables, large tables, comfy chairs, groups of comfy chairs, and you hear music. You see people sitting by themselves reading a book or working on their laptop. You also see people in groups working together. The point is, you see an environment that has something for everyone. People can work independently or they can work together in a very relaxed and inviting environment. Why not do the same thing in your schools? Set up your classrooms so they are relaxed and inviting. Make your lectures interactive by incorporating multiple types of activities that students can work on either independently or in a group. In your student salons, take a corner and create a Learning Station where students can go when they are not with a client or working on a mannequin head. In the Learning Station students can study for a test, do a MindTap exercise, practice on Milady’s Online Haircutting Simulation, watch a Ted Talk, have a group discussion or view various product apps. Turn your school into a space where students are relaxed, engaged and feel safe and comfortable. Make it a place where they go and feel great about their education.